British eventer William Fox-Pitt is out of intensive care following a "head trauma" suffered in a fall nearly two weeks ago. The 46-year-old was placed in an induced coma after the fall in the World Young Horse Championships on 17 October. British Eventing said on Friday that his condition had improved but he remains in a French hospital. 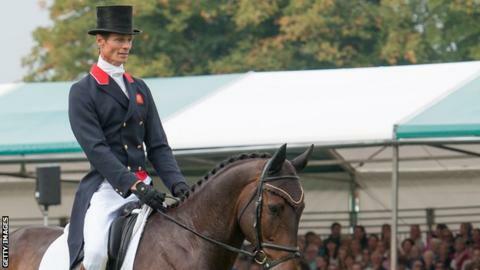 Fox-Pitt is GB's most successful rider with 20 major championship medals. "His family remain hugely grateful to the fantastic team looking after him and to everyone for all the messages and support," the governing body said. Fox-Pitt fell from his horse Reinstated, who was unharmed, at Le Lion-d'Angers.